The same KonaRed® Hawaiian coffee fruit extract found in our Hawaiian Cascara Juice is also a superfood for the skin! Kōkua Sun Care uses this bright red super fruit extract in its reef safe Hawaiian Natural Zinc Sunscreen because it is a potent source of natural antioxidants due to its extremely high concentrations of polyphenols. The extract is made from the fruit of Kona coffee plants grown in the rich volcanic soil of Hawaii coffee farms. Scientific research shows that cascara has the highest antioxidant capacity of all botanicals – up to 10x more than other topical antioxidants. It has anti-inflammatory, anti-aging, and hydrating benefits for the skin. Not only does it neutralize free radicals, protecting the skin against DNA damage caused by the sun, but it also restores the integrity of the skin after UV exposure. KonaRed's Hawaiian Cascara Juice is made with Nature's Best Kept Secret™, the Coffee Cherry fruit. Cascara protects and nourishes the coffee beans, or the seeds of the fruit, and has traditionally been discarded as waste. This sweet little fruit is packed with antioxidants and contains naturally occurring caffeine. KonaRed proudly use the cascara fruit in not only their juice, but our cold brew coffees as well to deliver added health benefits, better taste and contribute to greater sustainability. 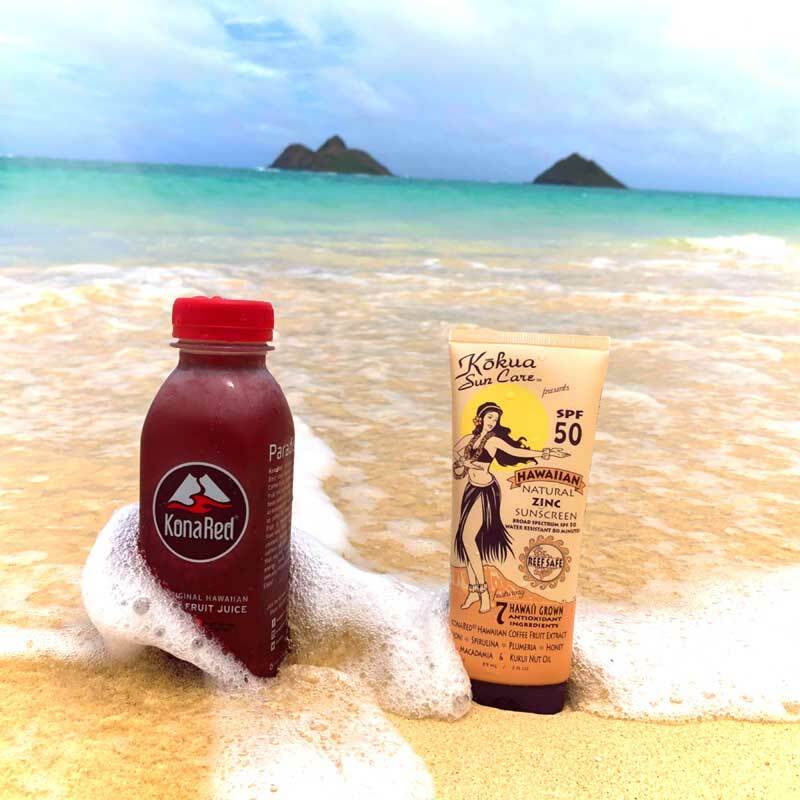 Next time you head out into the sun, grab a refreshing Hawaiian Cascara Juice and Kōkua Sun Care and enjoy the potent antioxidant benefits of this superfruit on the inside and outside! If you would like to learn more about KonaRed®, visit www.konared.com and use promo code KRED18 for a 20% discount and follow @KonaRed on Instagram for more information.